Sevendust is an American heavy metal quintet from Atlanta, dating back to 1994. The band was initially formed by Vince Hornsby (bassist) and Morgan Rose (drummer) under the name Snake Nation. John Connolly (guitarist) and Lajon Witherspoon (lead vocalist) would later join along with Clint Lowery (guitarist) and they would be renamed Rumblefish. After finding out the name was taken, they changed their name to Crawlspace, releasing the song "My Ruin" to the Mortal Kombat soundtrack called "More Kombat". The name Crawlspace belonged to yet another band, and they settled on the name Sevendust after an insecticide brand called "Sevin Dust". The band is mostly categorized into the nu metal genre, although their sound has been predominantly alternative metal. According to guitarist John Connolly, "we are some kind of heavy and some kind of rock and some kind of metal." Sevendust's first three albums (Sevendust, Home, and Animosity) earned gold sale certifications. 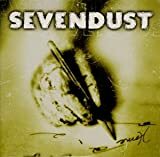 Some of Sevendust's most well-known songs include Black, Denial, Praise, Enemy, Unraveling, Decay, and Thank You. Although the band is not as popular as other bands in the same genres, Sevendust has made up to ten studio albums, with the most recent being Kill the Flaw in 2015. They are well known in the late 90's heavy metal scene as having an aggressive blend of heavy guitar riffs and soulful melodies.